That’s Lisa Guyer’s top tip for aspiring singers, especially females. But, it’s one of many pieces of advice the singer/songwriter plans to teach students of both genders aged 13 to 18 during her five-day music program, the Lisa Guyer’s Music Empowerment Program, which runs June 25th through the 29th at Wilton-Lyndeborough High School, located at 57 School Road in Wilton, New Hampshire. The goal of the program, Guyer says, is to help young performers find what she and her team of three instructors call the “golden nugget,” or “it factor.” In other words, Guyer, along with Heidi Pauer, a teacher in the New Hampshire school system and also a member of Guyer’s staff of mentors, wrote the program to encourage students to forget their inhibitions and bring out their inner artists. Guyer and Pauer, as well as Kim Riley, a fellow musician, and Linda Erb, a local teacher, will teach approximately 60 students collaboratively, as well as break them down into four groups of 12 to 15 from time to time, to guide them through various topics. Subjects include movement, in which mentors will show students how to share the focus between playing music, feeling music and letting music “free your body;” thinking outside the box, a session designed to teach the art of improvisation as it relates to live performances; jigsaw symphony, a topic in which collaboration is the main objective, and blind inspiration, a workshop that promises to draw on the senses. Further, Guyer intends to have a one-on-one with each student on the first day. For Guyer, not only is it important that students have the ability to perform independently, as she says she makes half her income by playing solo shows, it’s vital that they open their minds to teaming up with other musicians, too. In fact, after Sully Erna of Godsmack asked her to sing vocals on the song “Hollow,” which appeared on Godsmack’s 2007 release, IV, she recorded and toured with Erna for his 2010 solo album, Avalon. Also, during the Avalon tour, a show at the Wilbur Theater in Boston was filmed for upcoming release. While Guyer didn’t watch the film at the time she was interviewed by Limelight Magazine, she says Erna assured her it is “beautiful,” and she was able to listen to the audio. “It sounds amazing,” she said. Aside from being a vocalist, Guyer plays piano and a “little bit of drums.” She’s been performing since she was four and comes from a highly musical family. As a child, she and her family frequently put on vaudevillian shows at senior centers and churches. Whether she was singing, doing comedy acts, or even taking dance classes with 18-year-olds by the time she was seven, she believes the experience helped make her a well-rounded performer. “It gave me that confidence to do my thing,” says Guyer, who in addition to singing and writing music enjoys interior decorating, photography and gardening. Eventually, Guyer hopes to teach her program to adults. For now, she’s focused on making sure she holds a camp every school vacation so she can give advice to aspiring young musicians. 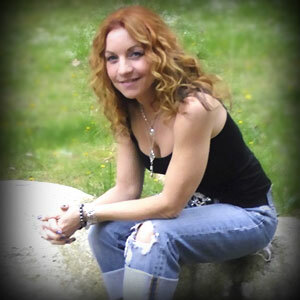 To learn more about Lisa Guyer’s Music Empowerment Program or to enroll online, visit lisaguyermusic.com, call 603-554-8602 or email lgmep12@gmail.com. Lisa Guyer is the real deal folks. Take it from who knows her deeply.